It’s been a week since List Surfing re-launched and I decided now would be a good time to dust off the webcam and do a quick video review to show you how the site works. Apologizes to Matt Koshko for getting his name wrong. For the trivia buffs… an “oshinko” is a Japanese pickle. If you are not already a member and you would like to join List Surfing please click the banner below and give serious consideration to the upgrade offer you will see when you first login. but I also love traffic exchanges almost as much. It’s today’s re-launch of List Surfing! List Surfing takes the best qualities of a free list mailer and combines them with a manual traffic exchange to create a unique marketing website that you can use to advertise anything you want! List Surfing is not entirely new. Perhaps you’re already a member? The new List Surfing BLOWS AWAY the old site! If you can imagine taking some of the social concepts of traffic exchanges like Thumbvu and Sweeva and combining them with a unique viral list mailer like Adcheiver (also owned by Darren) you will start to understand why this new site is so cool. Don’t miss your opportunity to take advantage of all of the traffic List Surfing is going to be generating with this major re-launch. I’ll be there advertising all day. Be sure to say hi. Are you taking advantage of free social media resources available to you right now to grow your business? As more people begin to discover the benefits of social networking it has become necessary for us to evolve the way we do business online to take advantage of these new techniques without being left behind. One area where these changes are having a major effect right now is in the traffic exchange industry. To help you take advantage of these new techniques my friends Jon Olson and John Guanzon are releasing a new ebook today called “Social Surfing Secrets”. Be sure to grab their rebranding offer when you first join. This ebook is sure to be passed around for months to come, the rebranding potential is HUGE for Social Surfing Secrets! Limited Time Thank You Gift! Warning: Social Media Is Changing The Traffic Exchanges! I had intended to promote some of my favorite forums in the article but it was getting kinda long so I decided to save that information for a new post. So what are the best Internet marketing forums? Probably the largest and most popular Internet marketing forum is the Warrior Forum. This is probably one of the very first forums I joined when I got into Internet marketing. 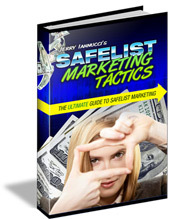 It’s extremely active and filled with a wealth of information for new and seasoned marketers. To be honest, I can’t keep up with everything happening on the Warrior Forum. There’s literally hundreds of new posts there every day. It boggles the mind to imagine how anyone can find the time to follow all of the conversations happening there and still manage to get any work done. But still, if you are willing to put in the effort the Warrior Forum is a great place to learn almost every aspect of Internet marketing from people who are actually doing it. Digital Point is another extremely active Internet marketing forum filled with great information. But my personal favorite forum is Net Marketing Forum. Net Marketing Forum is targeted more towards the hit exchange side of the industry which is right up my alley. It’s not nearly as active as the Warrior Forum or Digital Point but that also makes it much easier to keep up with. Just because Net Marketing Forum is smaller than those other sites doesn’t make it any less valuable. You’ll still find heavy hitters there such as Jon Olson, Tim Linden, Tony Tezak, Mike Paetzold, Robert Puddy, Soren Sordansen, and Paul Kinder (just to name a few). Of course marketers of all experience levels are welcome. Net Marketing Forum just recently updated their script and now it really is one of the most interesting forums I am a member of. The new Net Marketing Forum has taken it’s social networking ability to a whole new level with a wealth of new features. One thing I would like to ask… if you do decide to join Net Marketing Forum there is a space that asks you to enter the username of the personal who referred you. If you can, please enter my username: Jerry Iannucci. I don’t get anything for it other than a little extra street cred but that’s all part of the fun of using a site like Net Marketing Forum. One aspect of Internet marketing that I suspect most newbie marketers tend to neglect is the importance of participating in online Internet marketing forums. Why are Internet marketing forums so important? 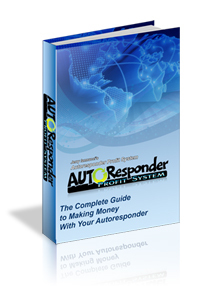 There is no better way to learn how to make money online than by interacting with the people who are actually doing it. Internet marketing forums are filled with people who are more than happy to answer your questions or help you out with a problem you are having. In most cases all you need to do is ask. There is also the networking aspect of participating in Internet marketing forums. It always helps to get to know who the big players in any industry are but it’s even more important that they get to know who you are. Internet marketing forums are a great way to socialize and interact with these people get to get to know them on a more personal level. And of course there is the traffic! While you usually can’t openly promote your affiliate links on Internet marketing forums you can often add them to your signature which appears beneath all of your posts. The more posts you add to the forum the more likely your signature will be noticed by other forum members. If you’re lucky the thread you are posting in might even get picked up by some of the major search engines giving you even more valuable traffic to your links. But no spamming is allowed! You can’t join an Internet marketing forum with the goal of getting your links into as many threads as possible. Most members can spot someone doing this right away. I can guarantee you won’t last long if you approach Internet marketing forums this way. When joining a new Internet marketing forum it’s a good idea to just read the new posts for a few days to get a feel for the conversations there and to see who are the most active members. Before you start posting it’s always a good idea to introduce yourself to the other members. There is usually a specific part of the forum dedicated to new user introductions. Just tell everyone a little bit about yourself so they will be more likely to recognize you when you start adding to the conversations later. Of course make sure you read and understand any forum rules before you start posting. Once you have a feel for the forum and you’ve introduced yourself you can start adding to the conversations. Just be yourself and try to add relative content to the conversations. Try to avoid adding one line responses like “I agree”. It can take some time to start seeing results from participating in Internet marketing forums. That’s why it is important to try and stay active and visit your forums at least once every few days. It might take awhile but the information learned from forums and the relationships built from them can become invaluable to you in the future. And just for fun… here’s a little video I found from the 1950’s with a less than serious way of explaining how to get started with posting in forums. Enjoy! Say what you want about these free traffic programs but you won’t find another niche of Internet marketing where there are so many successful people willing to help other struggling marketers for free. I have met some amazing people in the traffic exchange community. Probably the best thing I ever did for my business was to start attending the online conferences at Affiliate Funnel, SWAT Traffic and Traffic Exchange Live. These conferences have given me the opportunity to learn from some extremely successful marketers and also to also get to know them on a personal level as well. One of the guys I met recently at Traffic Exchange Live is John Holmes who just took over the ownership of SWAT Traffic. James hosts a Blog Talk Radio show on Internet marketing. For the past week James has been interviewing some of the biggest names in the traffic exchange industry in a series called “Discover Traffic Exchanges”. The last interview aired yesterday but thankfully all of the shows have been archived so you can listen to them whenever it is convenient for you. Seriously, go listen to these! In any other industry you would find these interviews packaged and sold together for hundreds or even thousands of dollars. You can click the links right now and go listen to these interviews for free! They are great to listen to while you are working and I guarantee you will gain some valuable knowledge about these owners, the traffic exchange industry, and how to run your own successful online business. There is a lot more to this business than just getting your links in front of as many people as possible. Start taking some action and get to know who your fellow Internet marketers are. It won’t cost you a dime and you will be amazed by how far you can go with just a little help from the people who have been where you are now.